Location: Leon County, Florida, Trail system east of downtown Tallahassee, 2 miles east on Buck Lake Road, right on Pedrick Road. 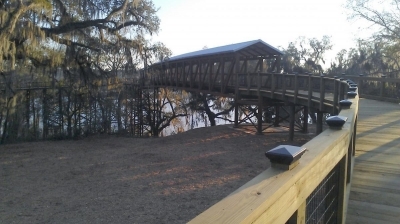 The J.R. Alford Greenway consists of 880 acres of land owned by the State of Florida and under the management of Leon County arks and Recreation. This site includes numerous 1800's era homesites, including the scene of the last known confrontation between Native Americans and settlers in Northern Florida. Today, the greenway is the focus of long leaf pine reforestation, establishing native habitat for small foraging animals and hundreds of acres manages as food plots. 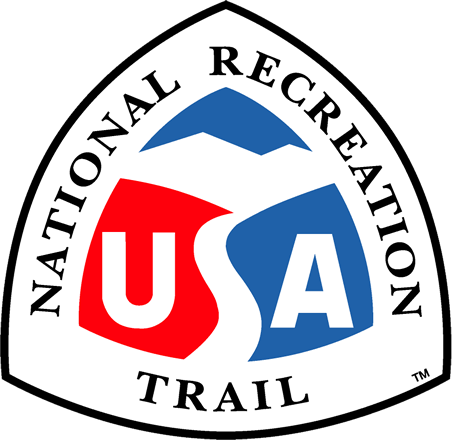 Additionally, this greenway has over 26 miles of marked trail to allow citizens to walk, run, bike or traverse on horseback. At the present time the greenway links up to a City trail system to a City park and another County trail system to another County facility. These trails are another critical step in making the Leon County Greenways and Trails, which will link the entire county, a reality. New bridge over the RR tracks between the JR Alford Greenway and Lafayette Heritage Park. Photo by Singletracks.com/VPJ.